Tactical JRPG fans will have something new to sink their teeth into before long. Tactical JRPGs are a genre that had their heyday back in the PS1 era, with games like Final Fantasy Tactics and Tactics Ogre. Since then, fans have had to sort of pick and scrape at anything that comes along, as the Disgaea series is one of the only big names that are still going strong with that style of gameplay these days. 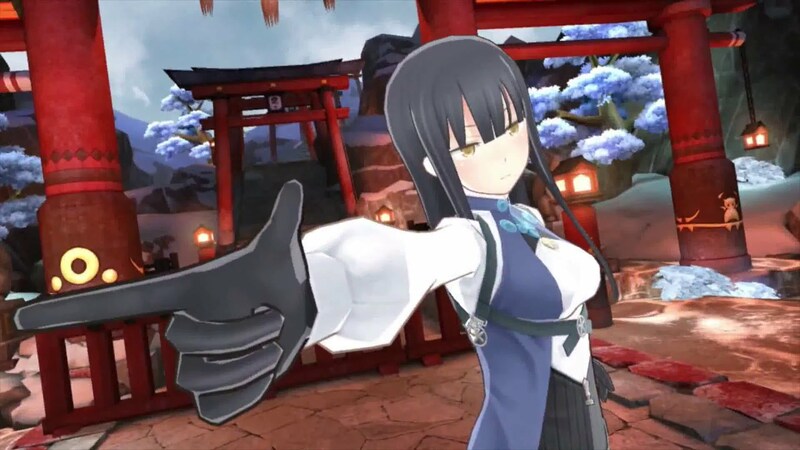 Well, in just a couple of months you'll have something new to try your hand at — Summon Night 6: Lost Borders. If the number attached makes you wary of jumping in, then rest assured that this game doesn't require knowledge of previous entries to enjoy it. The latest in a — mostly untranslated — series, Summon Night 6 follows Raj, Amu, and Ist, who live in a "cocoon world" called Fillujah. One day the denizens of this sparcely populated realm are suprised to find strangers literally falling from the sky. This entry switches things up a bit by having a 3D battle system. You're still limited to where you can move units, in proper TRPG fashion, but you can move within that space freely, rather than square-by-square. The game also has a bit of a visual novel element, allowing you to spend time with your units one-on-one to learn their stories. There are also mini games to try your hand at, revolving around fishing and cooking. The game will be available for both PS4 and PS Vita on May 23, and first run physical copies will include a special voucher that can be mailed in to net yourself a copy of the soundtrack.